ok, i’m taking a break from catching up on old recipes. you need to make this delicious dessert before summer is officially gone tomorrow! 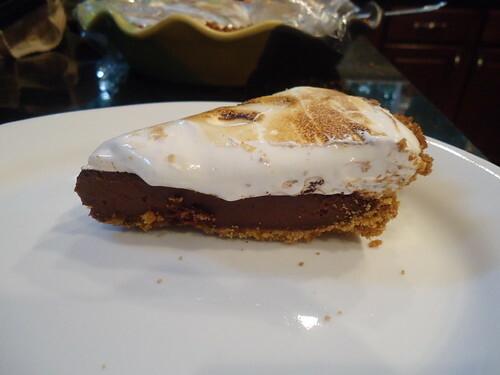 it’s a dark chocolate ganache pie, topped with marshmallows. stick with the dark chocolate, it balances out the sweetness. 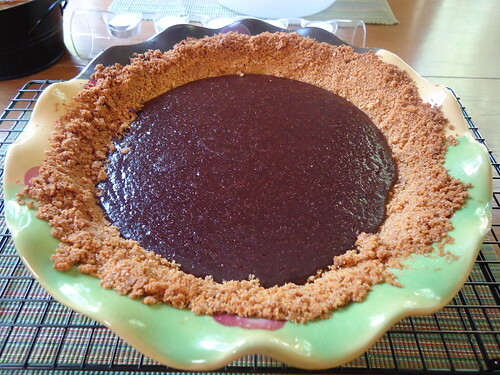 it is also important to know that a little bit of this pie goes a long ways. take it to a cook-out or potluck and make friends! it’s very easy, delicious and dangerous! pre-heat the oven to 350°. 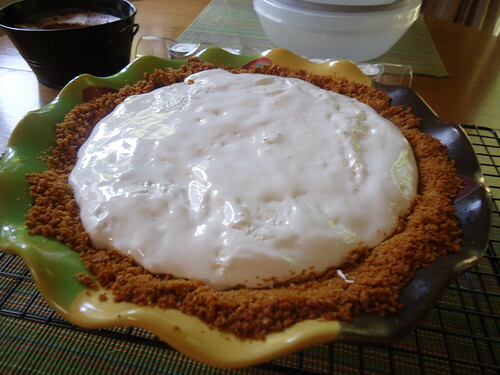 lightly grease 9 – 9 1/2″ pie dish. 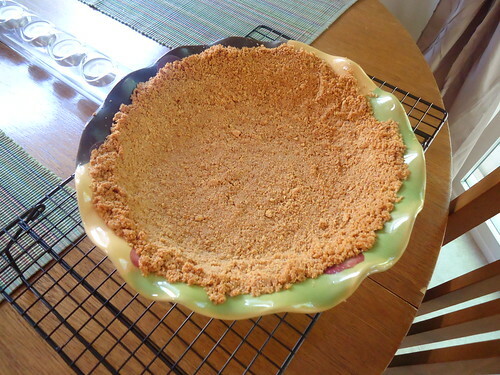 (thanks, paula for the awesome pie dish!) 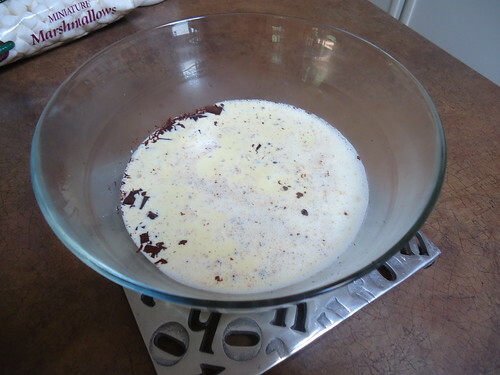 stir together all of the ingredients in a bowl and press evenly on bottom and up the side of the pie dish. 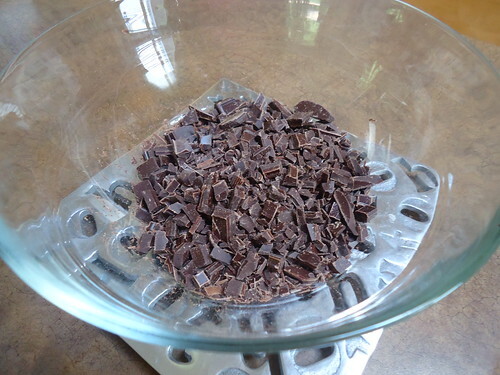 bake until lightly browned, 12-15 min, then cool for about an hour, on a cooling rack, to room temperature. 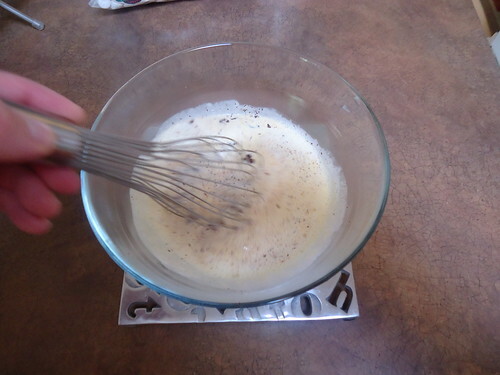 whisk your egg in a small bowl, and then temper it with the chocolate mixture. 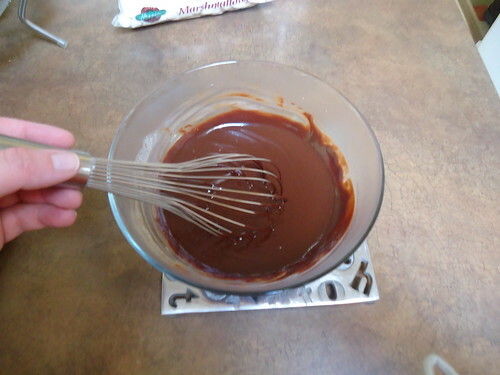 whisk egg and pinch of salt into the ganache until combined. pour into crust. cover crust with pie guards or aluminum foil and bake for 25 min. cool pie for 45 mins, on a cooling rack, to room temp. 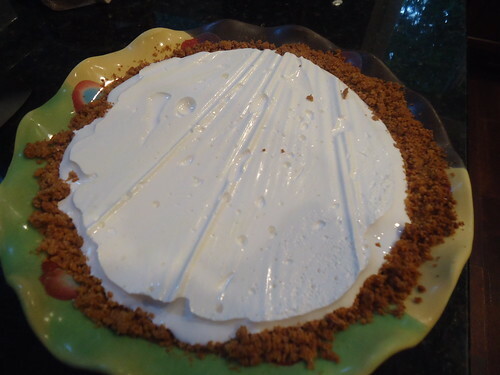 top with marshmallow cream and cover loosely with crisco-covered saran wrap. refrigerate for three or more hours. 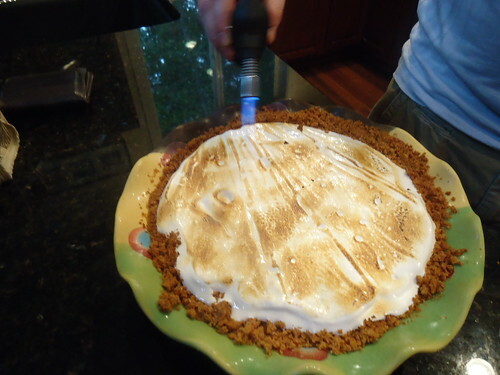 Jessica, I made this S’mores Pie on Saturday for family and they went crazy over it and then I fixed it again on Sunday for some friends I had over for dinner and they loved it too. I have already emailed your site to 4 friends who want the recipe. I love your web site it is great. 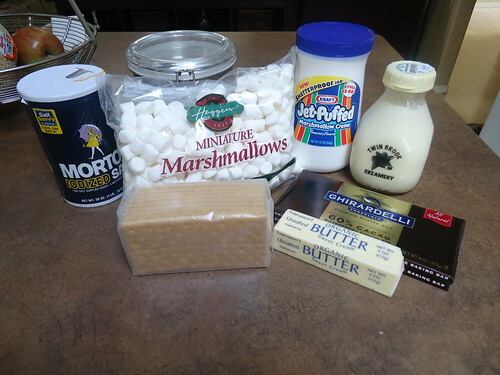 I am definately going to try some more of your recipes. Thanks for sharing! Thanks for your comment and for visiting the site! I’m glad to hear that you enjoy it. Please let me know how other recipes turn out for you.